Prume is French for mist and the designer Jean-Baptiste Durand made mist the characterizing part of this lamp. 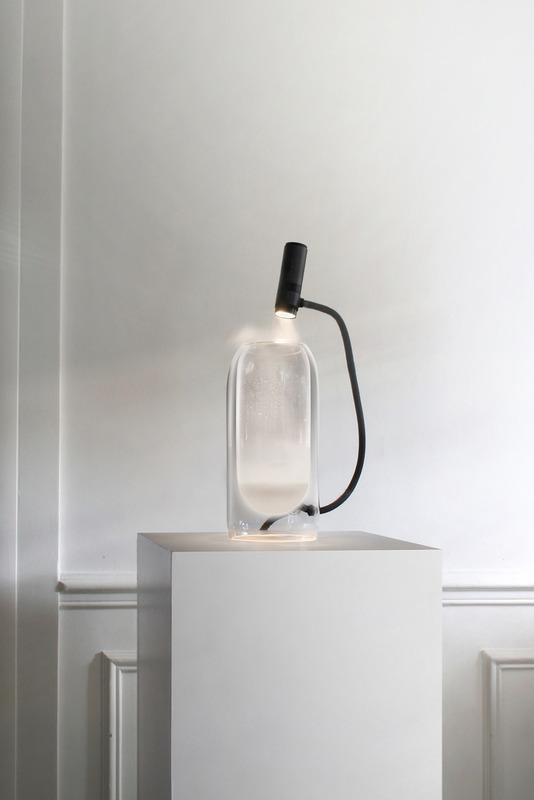 The Prume lamp uses the mist, that is created at the bottom of the double wall glass vase, by a nebulizer system. The light is reflected by the mist and spread into the room, creating a soft and warm light that displays at the same time a small piece of the mystic feeling that is created by foggy days.